Trouble is that so many parents are assholes and their kids just copy them. I was talking to the Dirty Daughters over supper on Friday, and I reminded them that they used to sing ♫Daddy cruel♫ to the tune of Boney M’s “Daddy Cool” when they thought I was being harsh/unfair. 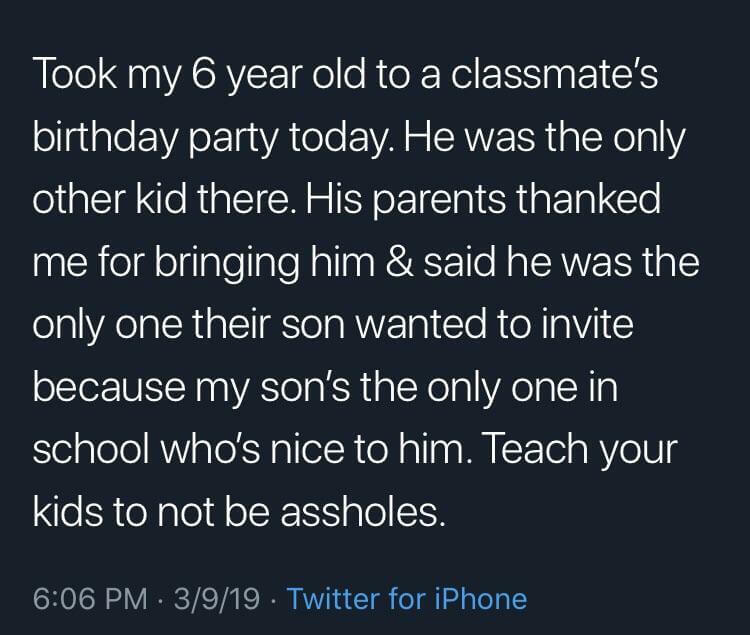 Parenting done right. Not just that they SEE it, but they can ADMIT to SEEING it. With kids it’s like with dogs. One’s angry at the spoiled kids or the eternally barking dogs, but it’s the parents / owners, that one should be angry with.